Home Entertainment TV Media Matters 3: The CBC is OVER! It is now official, for me at least. The CBC – affectionately called “the Mother Corp” by some – is now OLD news for me. I am done with them. Over the years, CBC Radio has been an integral part of my life; even to the point of proudly displaying a sticker created by a long ago “Save the CBC” when it was threatened with funding cuts. In this most recent federal election, Stephen Harper (re-elected minority government Prime Minister) caused an uproar – among the merry few – when he talked, again about cutting arts funding, labeling most arts projects “elitists” and “irrelevant to ordinary Canadians.” Loyal ‘Mother Corp’ fans raised their voices in protest across the land. My loyalty to the CBC is now over. They are now old news in my household. The reasons are simple: I can no longer tolerate the incessant “noise” which apparently passes for civil debate or discussion on the airwaves. I fully understand that these days acceptable “debate” really is a metaphor for a shouting match. This phenomenon has been growing at an alarming pace on CBC, and I can’t take the intrusion of angry voices along with my first coffee of the day anymore. It seems irrelevant what programme I am listening to, the format of debate seems to be whoever yells loudest attempts to drown out the other participants of the forum. Despite trying to make any sense at all of the disrespectful cacophony assaulting my eardrums, I have now come to the only conclusion possible: CBC Radio no longer has a place with me. It doesn’t matter one whit to me that screaming over each other now is the accepted norm on the airwaves. I am done. The final straw was two-fold. First was the political “debates” during the recent election campaign. UGH! Dismayed at being unable to make any sense of the babbling crescendo of the candidates, I ended up turning the radio off. Enough of this uninformative, unenlightening free-for-all. 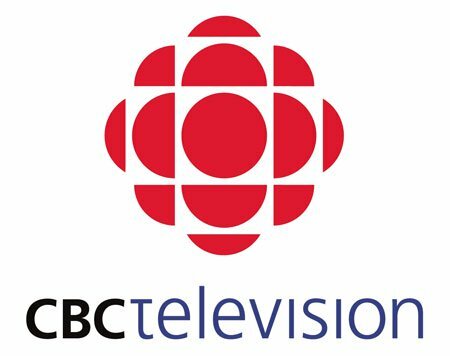 The CBC is not free, and this taxpayer has made the decision that, while my tax dollars will continue to be spent on the CBC, I will no longer give them my ears. That’s my news. And talking news brings me to the second reason I am abandoning the Mother Corp. I cannot believe that I have been the only Canadian who quite regularly writes to CBC management complaining about the quality of the news broadcasts on CBC Radio. In one of my recent missives, I called the news as presented by the CBC, “amateur hour,” and really that IS what it has become. I have done an informal, anecdotal study of the news broadcasts and I am totally frustrated with the level of professionalism, or lack thereof. I understand that there are some strange place names, people names, out there in radio-land, but when the news reader stumbles over simple monosyllabic words, time for me to call it quits. Frankly, if I want to listen to not only mangling of simple words, or an abundance of “errrrr, ummm, stumble stumble, mumble mumble etc,” I can tune into Barack Obama. Maybe the CBC has spent too much time listening to his inarticulate speech? Be that as it may, I do expect my news readers to be able to read simple sentences clearly, so I GET the news – so I understand a) where the story originates, and b) who the major players are. A radio journalism instructor I had must be rolling in his grave. In one of my recent letters to the CBC, I thanked them for giving me the “adventure” of attempting to decipher what any news story was actually about. I wondered, in print, if perhaps their mangling of the news – any news – was a deliberate attempt on their part to see if any of us are paying attention. Need I tell you? No reply from anyone within the CBC hierarchy. Silence.